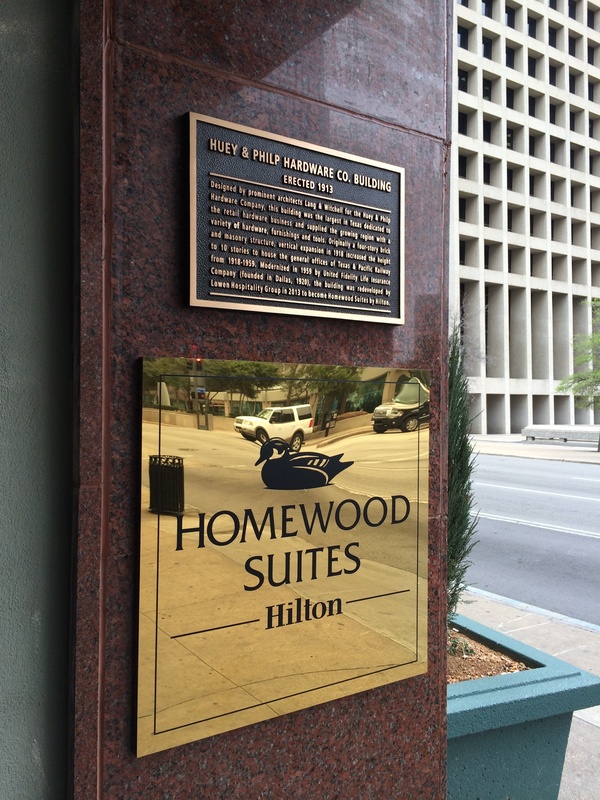 In conjunction with the interior wall mural created for Homewood Suites by Hilton in Dallas, an accompanying interpretive marker was created for the exterior entrance of the new hotel. 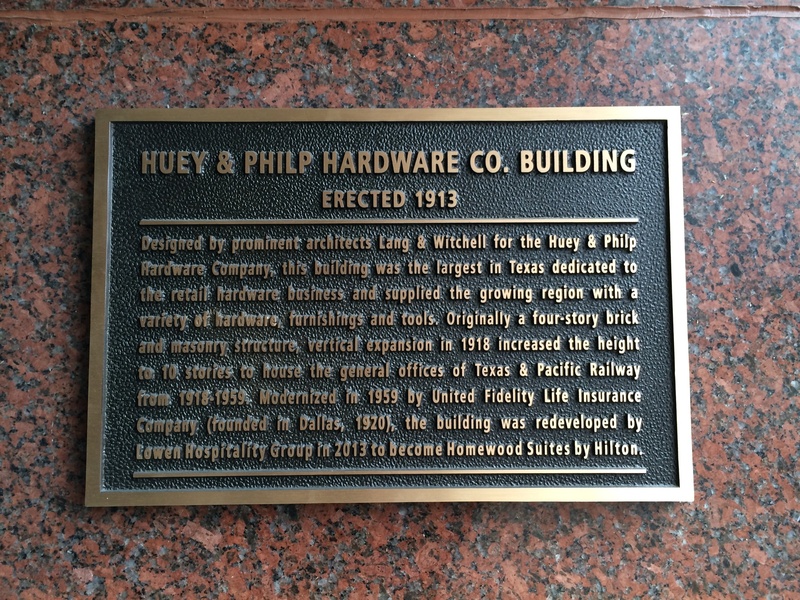 This serves to great passers-by unaware of the building’s significance in the heart of downtown Dallas and matches others placed around the central business district. 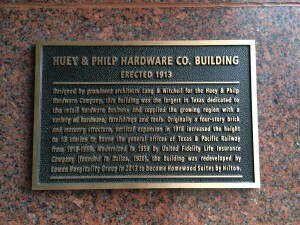 Cast in bronze, the all-weather panel uses a condensed version of the historic narrative developed for the interior display and is a highly-visible addition to the renovated building.